Microsoft has revealed its first look at the new Surface Hub 2 and, let’s be frank, it looks awesome. 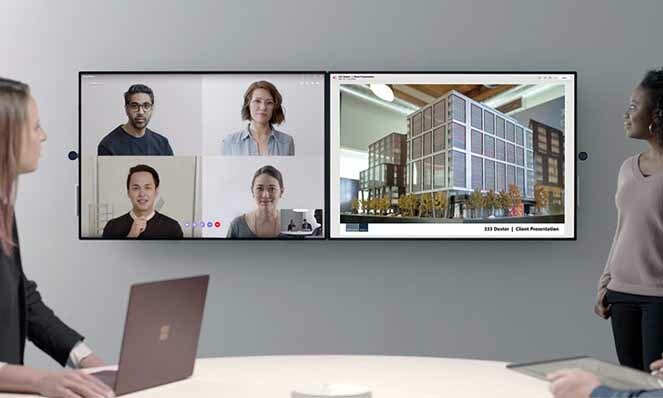 Much like the original Surface Hub, the Surface Hub 2 will be a powerful tool for collaboration, allowing video conferencing to happen in tandem with white-boarding. With the ability to initiate a Skype call with one touch and seamless integration with OneNote and the Microsoft Office Suite, we didn’t think the Surface Hub could get any better. Well, it turns out we were wrong. The Surface Hub 2 features multi-user sign in allowing people to simultaneously access and save to the cloud. Built in fingerprint recognition will increase security and allows users to access their account and documents at the tip of their fingers. Characteristic of Microsoft, the design is sleek and features stunning resolution. The most surprising improvement to the Hub is its new found ability for flexible reconfiguration. The Surface Hub 2 is now capable of rotating and tiling, allowing it to adapt to a variety of spaces and uses. 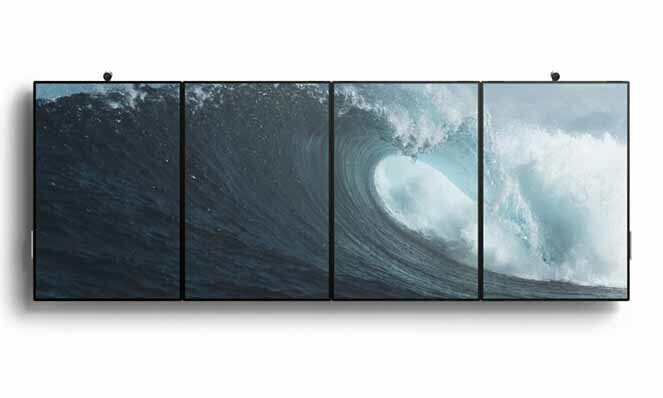 Where in the past, one Surface Hub was impressive enough, now you can tile up to four to create a stunning, collaborative and interactive wall. Modular accessories also contribute to the Hub’s adaptability. When you rotate the Hub, you can move the camera to ensure the field of view remains the same. Working with Steelcase, Microsoft developed a rolling easel, making the Surface Hub 2 truly mobile. Although we’re still waiting on more details and a specific release date, we’re looking forward to seeing how the Microsoft Surface Hub 2 will inspire and enable people everywhere. The Microsoft Surface Hub 2 is scheduled for release some time in 2019. Stay tuned for future updates! What are demountable walls and why use them?